It's your birthday. 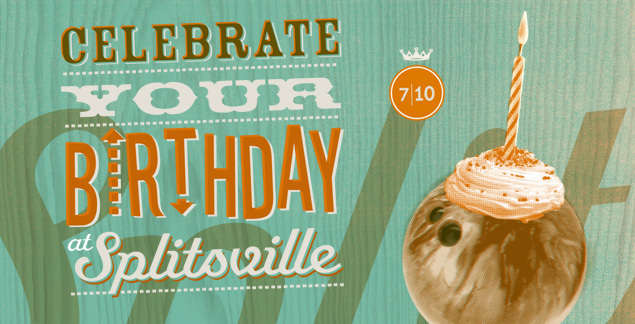 Show your friends how you roll and celebrate your day bowling, dining and dancing at Splitsville. Get the gang together for good times at the alley and bowl a few frames. Order a hand-tossed pizza or some hand-rolled sushi. And shake your fancy pants in a nifty pair of rented shoes. Bowling parties are for kids of all ages. BUT SORRY, BUMPER RAILS ARE NOT AVAILABLE FOR ADULTS!